The Diamond Castle is the map where the 5 legendary Temples resides .The house that proves that they are worthy to rule the Temple will be rewarded handsomely. 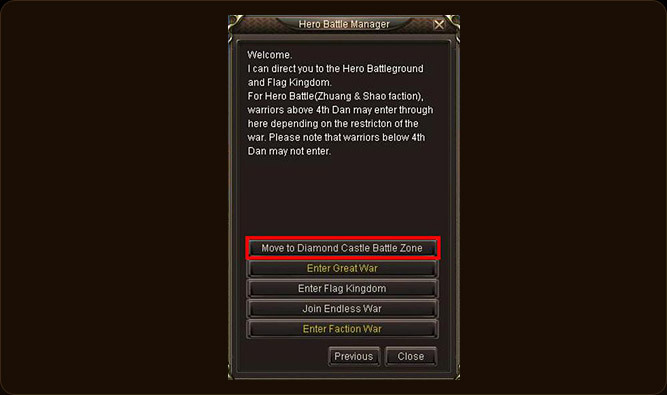 The NPC ��Hero battle manager�� at the each of the faction districts can teleport the character to the Diamond Castle war map after requesting. Each temple are guarded heavily with the special forces and reinforced with strong doors .So beware!!!. 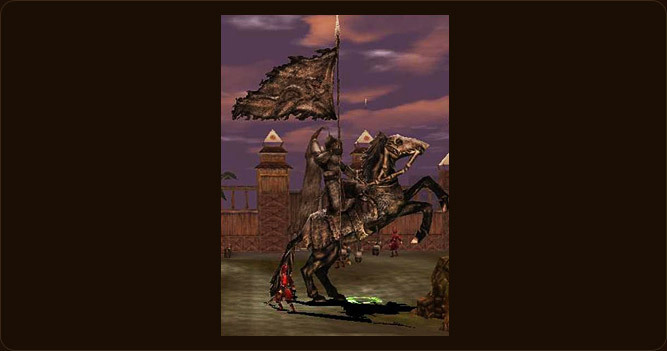 To capture the temple players has to break through the temples defense and find the particular temples Post Guard statue which will be spawned inside the great walls of the temple. Once the character of any house destroys the Guard post the temple will be occupied by that house. 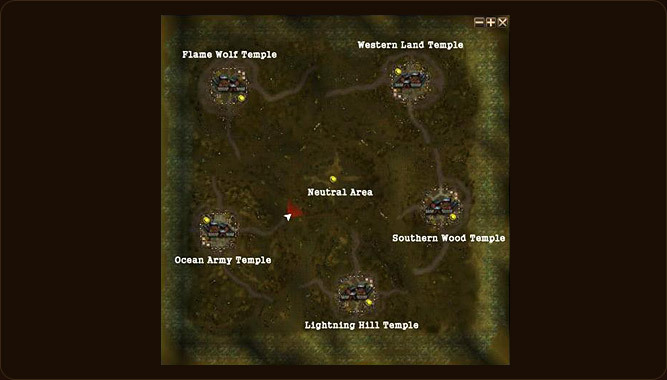 The other houses and members will also have a chance of capturing the temple after the first temple has been captured .The re-spawn time of the Temple Post statue is 1 hour. The special buff which will increase the experience received for each kill for a monster in all maps.